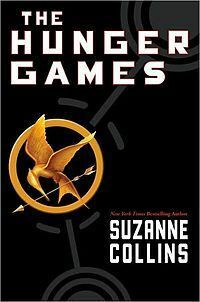 The release of The Hunger Games has resurrected an ongoing personal debate for me. You see, I haven’t read the book yet. I’m not even sure I want to – the dystopian stories I’ve read in the past, such as The Handmaid’s Tale, have plagued me with a dismal hopelessness I really don’t care to revisit. The fact that The Hunger Games is centered on a game of survival which requires children to kill one another does nothing to improve my opinion on the genre. And yet, people I know, and whose opinions I respect, have encouraged me to give it a try. Highly regarded recommendations = pressure to read the book. Buddy, my middle child, is now begging me to take him to see the movie because he has read the book and really liked it. Love for Buddy = pressure to see the movie. Now I’m feeling conflicted: Should I devour the book before we go or should I just see the movie and then decide if the reading will be worth my time? This question of book or movie first crops up frequently in the world at large and in my own little life. Because I’m an avid reader, my gut reaction is always to rally behind the book. I readily admit my knee-jerk response is an emotional rather than intellectual one. Since beginning the 50/50 Reading Challenge in January, I’ve had several opportunities to reflect on the book versus movie conundrum. I’ve arrived at the conclusion that several scenarios can occur with mixed results and that there is no simple answer to offer. The first scenario and, for me, the most desirable, is to read the book, then see the movie, and love them both. I have experienced this, but not nearly as much as I’d like to. The Lion, the Witch, and the Wardrobe, The Lord of the Rings trilogy, The Great Gatsby, and The Help are a few great book-then-movie experiences that come to my mind. I’m anticipating that The Hobbit, which is being released later this year, will make this list as well. It is a very rare thing, I think, for a director to remain true to the soul of a book and also adequately recreate the world I’ve conjured in my brain. Unfortunately, this means the book-then-movie scenario is risky and satisfaction is pretty hard to come by. The second scenario, which seems to be more common and by far the worst of all scenarios, is to read a great book, then see the movie, and be completely dissatisfied or utterly disappointed. Gone With the Wind, Eragon, Inkheart, and Prince Caspian are just a few personal instances in which the expectations I had cultivated from my reading were not satisfied. Unmet expectations are the crux of the issue here. When I read a book first, I’m generating expectations that, more likely than not, set me up for disenchantment. I’m completely unable to see the movie as a separate entity with its own intrinsic worth. Instead, the book becomes the ruler I use to measure the movie’s value. In my experience, the movie often comes up very short. Reading the book and then choosing not to see the movie is the third scenario. By this I mean that I choose not to see the movie because I know there is absolutely no way it will do the book justice. For example, in March I read The Time Traveler’s Wife as part of the 50/50 Challenge. The story was complicated, the characters were complex. I developed very specific ideas of what Claire and Henry would look like. When I saw the actors who were playing the lead roles in the movie version of the story, I knew I wouldn’t enjoy it – not because they were poor actors but because they were not Claire and Henry. Because I want to retain the original vibe of the book, and because I don’t want to purposely set myself up for disappointment, I’m choosing not to see the movie. I realize that by making this choice I could be missing out on a perfectly acceptable viewing experience. I am, however, contentedly willing to take that risk. The last two scenarios are based on seeing the movie first. Scenario number four involves seeing the movie, then reading the book, and loving them both. Next to the first scenario, this is my favorite. So many wonderful reading experiences have occurred because I saw a movie I loved which inspired me to read the book. My passion for Jane Austen and all her stories arose from a viewing of A&E’s mini-series Pride and Prejudice several years ago. The same holds true for Jane Eyre and many other classics as well. Something else can happen when a movie is viewed before the book is read. Because there are no pre-conceived expectations other than the anticipation of viewing a good movie, I can appreciate the movie as it stands alone, apart from the book. Ella Enchanted illustrates this point very well. My kids and I watched this movie before any of them could read chapter books. We loved everything about it – the music, the silliness, the funkiness, Anne Hathaway, Carey Elwes, the ogres, the elves, the giants – everything. It was great fun to watch. Period. A few years later, we borrowed the audio book from the library for a family road trip. We were shocked to find that the book had very little in common with the movie. The story of Ella Enchanted was far superior to the movie and I just kept thinking how incredibly disappointed we would have been had we read the book first. Because we saw the movie first, we were able to enjoy both as unique experiences. And, since being introduced to Ella, Lovey has read almost all of Gail Carson Levine’s books. The final scenario happens occasionally to me and it’s what I’m afraid will be the result if I see The Hunger Games before I read it because I’m on the fence about it. In this scenario, the movie is watched first and then the book becomes redundant and unnecessary. In other words, the movie has satisfied my curiosity enough that I don’t feel the need to put any more time into it. The Harry Potter series is, for me, the poster child for this pattern. I’ve enjoyed every one of the fantastical movies. Because the books are on many “Top 100 Books” lists, I thought I’d read them, too. I have tried, but I just can’t do it. There is not enough newness in the books to hold my interest. Sadly, I’ve come to accept I’ll never be able to check Harry Potter off “the list” of must read books. What new conclusions have I drawn from all this contemplation? Very few, I’m afraid. I do still prefer to read the book first, but I’m becoming more discerning about following it up with the movie. Disappointment has made me cautious. I’m also beginning to recognize the many benefits of seeing the movie first – a difficult statement coming from a book champion. If I’m going to be honest with myself, I must admit that some of my best reading adventures have begun with a movie. Does any of this really matter? Probably not. I will continue to make choices about reading books (or not) and seeing movies (or not). Sometimes I will be enraptured. Despite my best efforts, sometimes I’ll be (desperately) disappointed. All of these experiences will continue to impact my life in one way or another. At the end of the day, though, I’m just thankful that I live in a place and time where I have such a variety of formats to indulge my love of a good story. 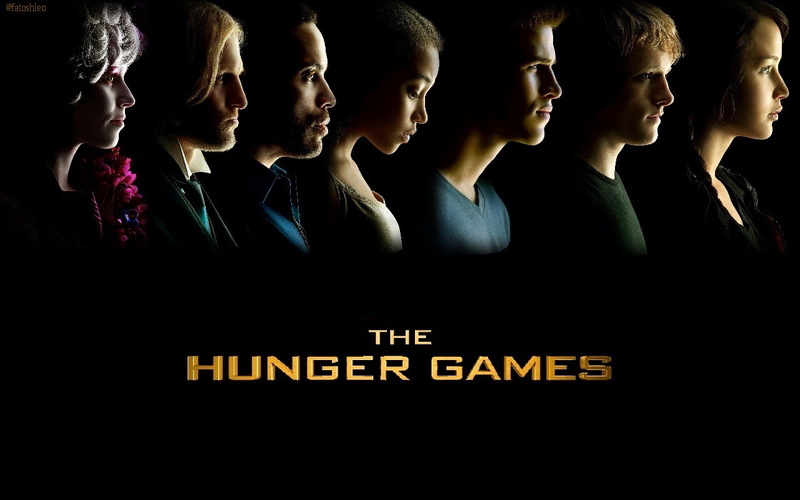 Wading through all those scenarios did answer my own question about The Hunger Games. I see a trip to the movie theater with my favorite middle son and a container of popcorn in my very near future. I’ll decide about the book later. Do you like to read the book or see the movie first? What specific book/movie combos do you recommend? Which ones disappointed you the most? literary trends our young girls and boys seem to relish. Vampires and werewolves….children fighting to the death for food….. what does this do to tender hearts and minds in their most impressionable years? What is the redeeming value? Maybe not the movie or the book ? is that an option? The book was amazing. the movie was ok. I read the book first. The movie did a good job of capturing the feel and theme of the book but really missed the mark on the details and character development which I think are very important to the integrity of the story. I decide to see the movie because I felt that the actors who were cast to play lead roles fit the bill..and they did not disappoint. The lack of detail and character development was not their fault but the fault of the script. If you have never read The Hunger Games, you wouldn’t know what was missing, so this would probably not be an issue for you. I too struggle with this. I can think of one book in particular that I absolutely loved but refused to see the movie because I had heard that the ending in the movie was completely different than the book This to me seemed utterly ridiculous to me because the book’s ending is what put it up there as one of my favorites. Also, it may seem silly but I agree too that the actors/actresses who are in the movies are a big factor in helping me decide if I want to see it or not. Now to answer on of your questions…The Twilight series was very enjoyable but the movies are horrible. Bad, bad acting and not even close to what I saw in my head. Many hours of my life I will never get back! I also really enjoyed reading The Harry Potter books but wasn’t very interested in the movies. So what was the movie adaption that you refused to see because it wouldn’t match the book? I just thought of another movie I skipped because of the casting – Water For Elephants. Loved the book but did not envision Reese Witherspoon or Robert Pattenson as the main characters. My Sister’s Keeper was the movie I don’t ever want to see. I feel the same way about Water for Elephants too! I guess I’m one who would rather see the movie first, then read. As a photographer seeing is always the biggest teacher. I think I’m beginning to lean in that direction as well. Although I love the written word, I’m very much a visual creature. There’s real pleasure in both art forms for me. My Sister’s Keeper was the book that I loved but refused to see the movie. And I felt the same way about Water for Elephants too. Great book but had no desire to see the movie. I have read the trilogy (book group selection) but I have not seen the movie. I think this might be a case of the movie being better (or at least equal) to the book. Jane Austen this is not! The movie is going to happen first, I think. I’ll just have to keep my expectations in check.